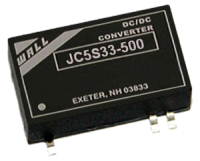 JC series DC/DC converters are in a “gull-wing” SMT package and meet 245°/10sec in solder-reflow for lead free process. The series consists of 2 watt models that operate over input voltage ranges of 4.5-9VDC, 9-18VDC, 18-36VDC, and 36-75VDC. 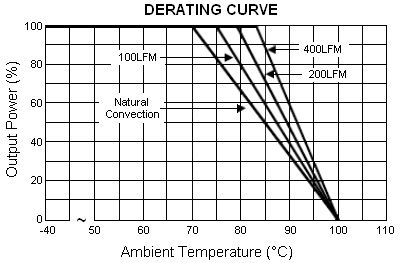 The -40°C to +71°C operating temperature range makes it ideal for data communication equipment, mobile battery driven equipment, distributed power systems, telecommunication equipment, mixed analog/digital subsystems, process/machine control equipment, computer peripheral systems, and industrial robot systems. These converters have a typical full-load efficiency of 81%, continuous short circuit protection, and 30mV output ripple. 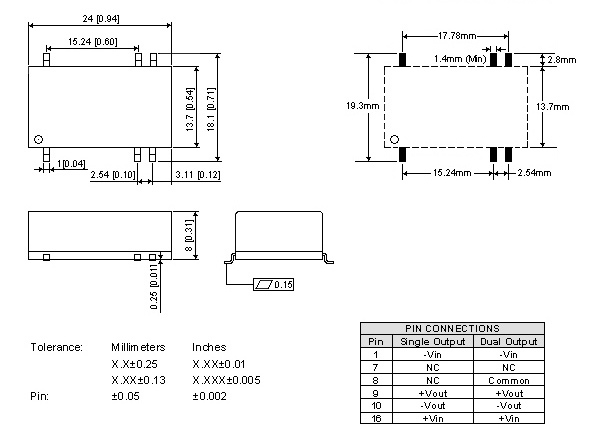 These converters also have EN55022 Class A conducted noise compliance which minimizes design time, cost, and eliminates the need for external filtering. Dimensions: 0.94in. × 0.54in. × 0.31in. Notes: 1. Transient recovery time is measured to within 1% error band for a step change in output load of 75% to 100%. 2. Ripple & noise measurement bandwidth is 0-20 Mhz. 3. These power converters require a minimum output loading to maintain specified regulation. 4. Operation under lo-load conditions will not damage these modules; however, they may not meet all listed specifications. 5. All DC/DC converters should be externally fused on the front end for protection. 6. Other input and output voltages may be available, please contact factory.